This website has been provided by Sevenhampton Parish Council. It is the official website of the Parish Council and is primarily for the use of parishioners. To find what you are looking for use the menus above or the site search. 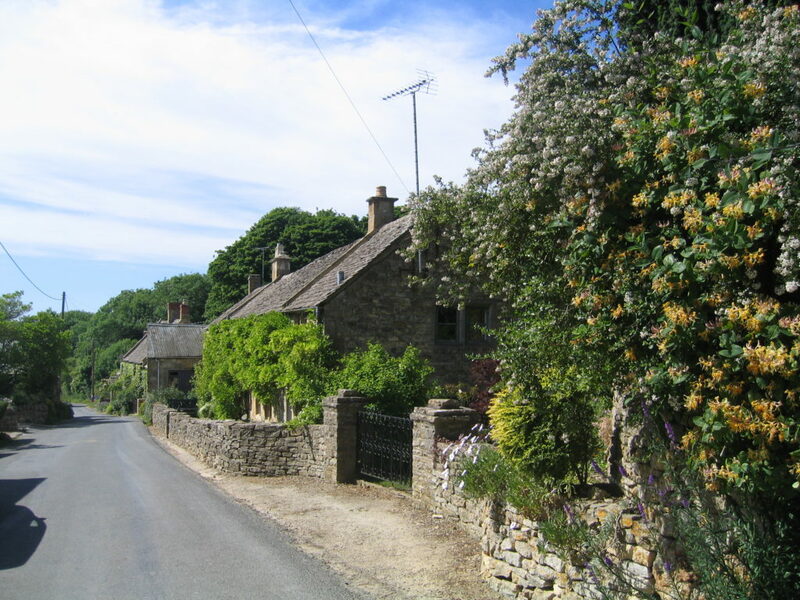 The Civil Parish of Sevenhampton is sited in the Cotswold hills, an AONB (area of outstanding natural beauty). It consists of two villages, Sevenhampton and Brockhampton, spread out for a mile and a half on both sides of the valley of the River Coln (merely a brook here, it rises about a third of a mile (0.5km) to the North of the parish boundary). An offshoot from Brockhampton (known as “The Quarry”) ascends 165ft (50m) in a half mile to the East. There are some isolated dwellings, farms and buildings in outlying parts. The Coln flows across the boundary to the South at the lowest point in the parish at 574ft (175m) above sea level. The highest, where the parish approaches the Cotswold escarpment in the West, is 1,001 ft (305m). The surrounding farmland is a mixture of arable and grassland. Some is managed under the Countryside Stewardship Scheme. The 2011 Census returned a population of 333 living in 158 households. A part of each village has conservation area status. There are 44 listed buildings within the parish. There are several dwellings on the road to Winchcombe (from “Whitton Dean” northwards), which would seem to be part of Brockhampton but are actually in Sudeley Parish which is administratively within the Tewkesbury Borough Council area.